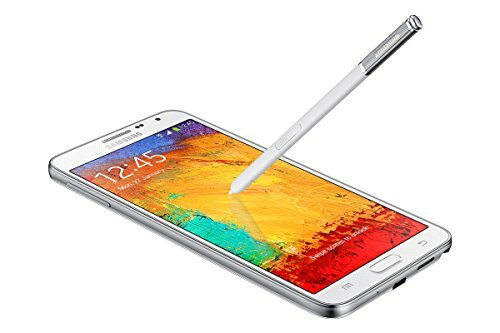 Samsung Galaxy Note 3 is a great quality Android device released some years ago, in 2013, counting with a really big 5.7-inches touch-screen, a high speed Octa-Core CPU (actually, it has a Quad-Core ticking at 1.9 gigahertz and a Quad-Core at 1.3 GHz), and two cameras, a 13 MP back-facing camera and a 2 mega-pixels front side camera. We will get a better idea about this cellphone's pros when we get into deeper details. Samsung ships this cellphone with a high-tech Octa-Core processing unit (composed by a Quad-Core running at 1.9 gigahertz and an additional Quad-Core clocking at 1.3 GHz), bundled in the Samsung Exynos 5 Octa system chip with a big 3 GB RAM memory. Graphic rendering generally eats lots of processing power, so it has an ARM Mali-T628 MP6 GPU running at 600 megahertz to help with that calculations. A great point of this phone is the 64 GB large internal storage and an SD card slot, allowing the user to store hundreds of apps and even the heaviest games currently available without having to worry about running out of space. This cellphone is available in 3 color options, black, pink and white. This phone is much lighter than what you would expect from a phone this size. 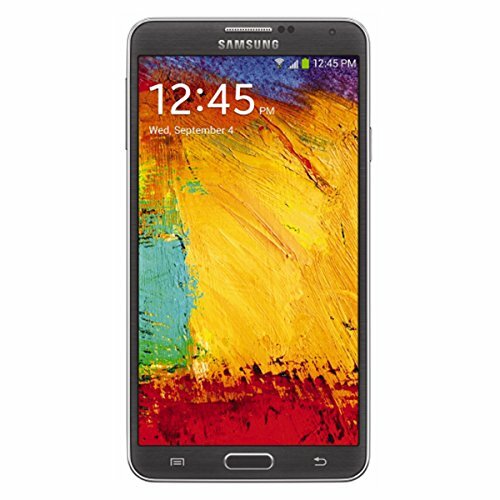 Though the Note 3 is just 5.95 inches long, it is able to fit a a 5.7" screen. 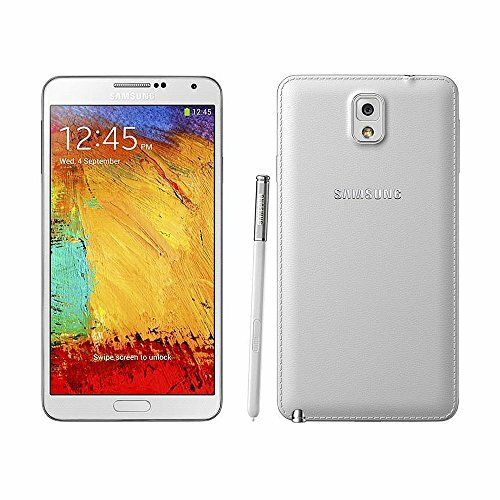 Being just 0.33" thick,the Note 3 is very slim and comfortable. This cellphone is equipped with an amazing 1920 x 1080 (Full HD) 5.7-inches display, making everything look brightful and colorful. Its display uses Super AMOLED capacitive technology, and allows multi-touch for gestures like pinch and zoom. This cellphone is equipped with two cameras, a 13 MP back side camera and a 2 MP front camera. Even though it's 13 megapixels might seem amazing the back side camera has a very little 0.326797 inches sensor it takes less detailed photographs than it should. It is also able to capture videos in 3840x2160 (4K) at 30 fps, and slow motion videos up to 1280x720 (HD) up to 120 frames per second. Additionally, the camera has a large number of amazing features like flash, fast burst mode, auto-focus, digital image stabilization, smile detection shooting, face detection shooting, geo tagging and HDR mode. This phone counts with wifi connection (and it can be provided to other devices acting as a modem or router), LTE 4G high performance connection type and also HSPA+ internet connection, a lower speed 4G type or 3G fast data connection, using HSDPA, HSUPA, UMTS and EDGE technologies. This cellphone works with a Micro SIM card for GSM connection and it can work with both GSM and CDMA networks. 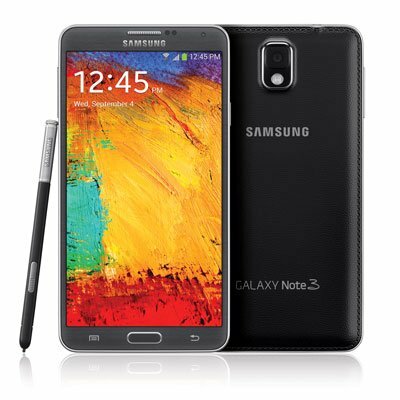 This phone comes with a high capacity 3200 mAh Li-Ion battery that provides the Samsung Galaxy Note 3 an incredibly long battery duration. This phone has an aproximate 20 hs talk time and a 490 hs stand by time according to Samsung. 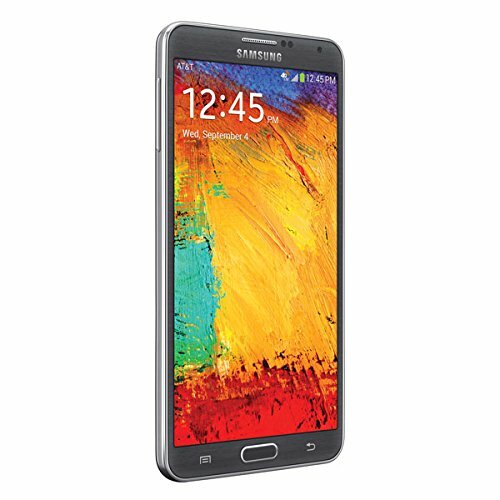 The Samsung Galaxy Note 3 also features many interesting features like Bluetooth (provides communication with other bluetooth phones and accessories), GPS (Global Positioning System), Infrared Transmitter and Near Field Communication (NFC), and multiple sensors like Light Sensor, Proximity Sensor, Accelerometer, Gyroscope, Barometer and Compass. This cellphone is really cheap considering it's an incredible cellphone and it costs just $ 245. If you want it majorly for internet broswing and social networks, want a phone for work, you love taking pictures or are looking for a gaming phone, you will probably be very pleased with it.